The most famous science fiction novel written, Stranger in a Strange Land is the epic saga of an earthling, born and educated on Mars, who arrives on our planet with superhuman powers and a total ignorance of the mores of man. His name is Valentine Michael Smith, and he is destined to become a freak, a media commodity, a scam artist, a searcher, a sexual pioneer, a neon evangelist, a martyr, and finally, a messiah. This novel became not only the bible of the love generation, it managed to transcend the science fiction genre to achieve the status of a modern classic; or, as others put it, Heinlein's earthly divine comedy. 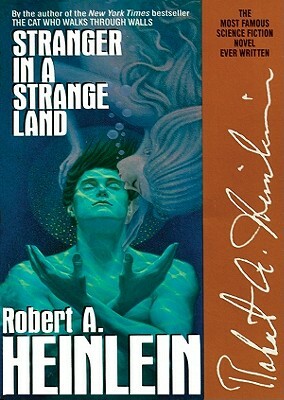 Robert A. Heinlein's novel was published in 1961 in a cut, or censored, version. This Blackstone audiobook is read from the Ace paperback version published in 1987 and thus is the as published version. The full, uncut text was not made available until 1991.